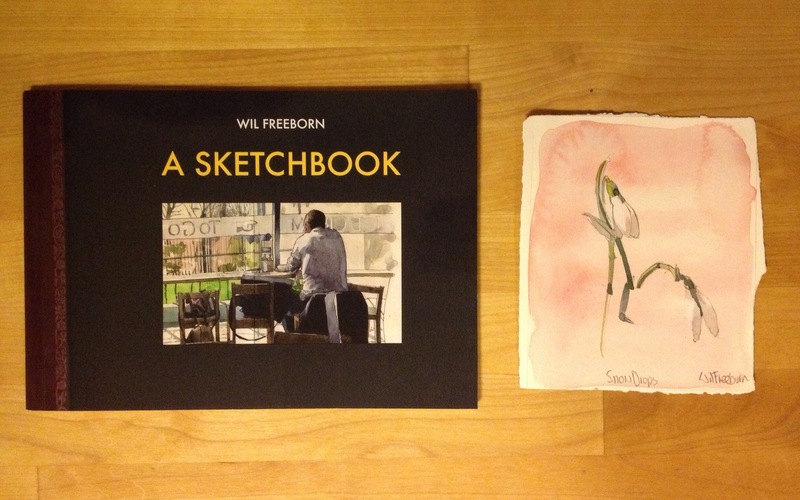 I was excited to get a copy of Wil Freeborn’s latest book of sketches today in the mail. He works a lot in Moleskine sketchbooks with watercolor. It’s a tough combination, and he gets the most out if it. I haven’t seen anyone do it better. He has a nice range of complicated, detailed works, and some pretty sparse compositions with some good punch to them. Check out his site at http://www.wilfreeborn.co.uk. Thankyou for the tip on this artist, Corey. I clicked over to his site and really like what he does.